Written by Lee Heaver with contributions by the Track Heads Group; Mike, Brandon Knutson, Kim Gill, Dean Drolet. 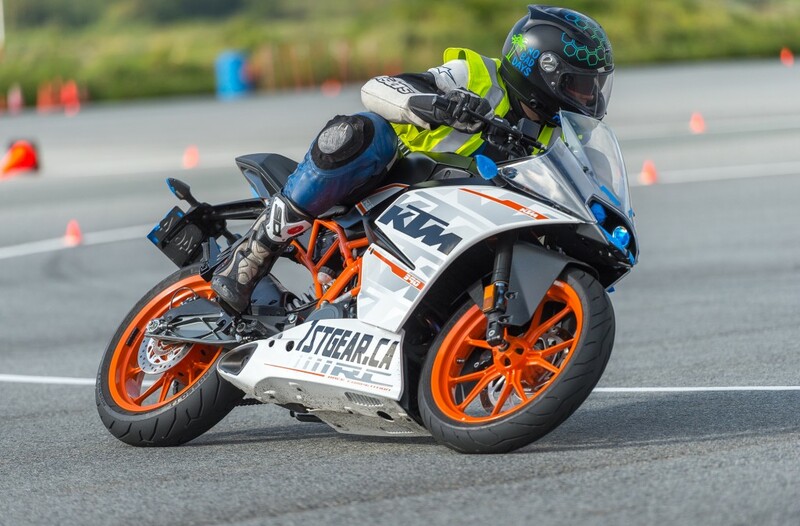 Any motorcycle and rider is welcome to a track day. 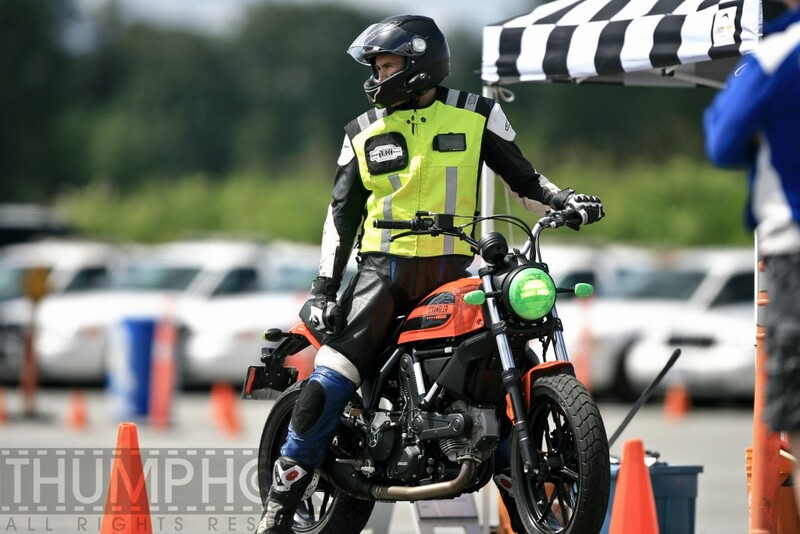 You do not need to be a ‘great rider’ to go to a track day. 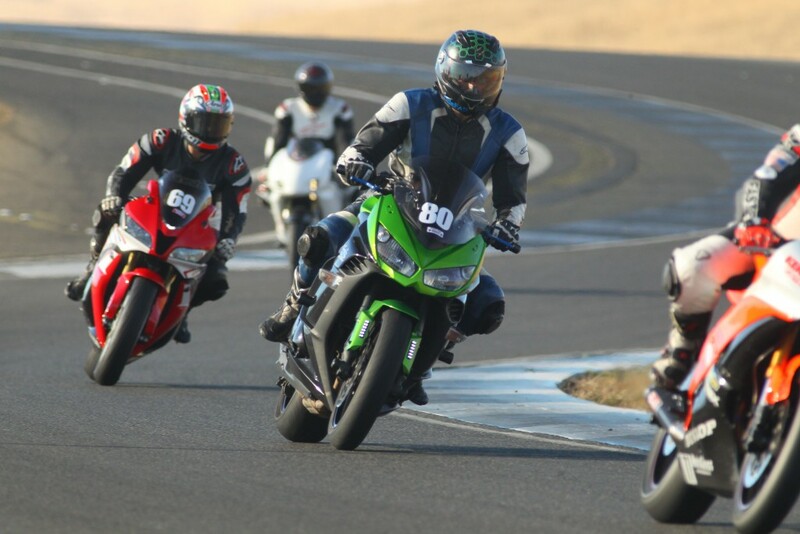 Great riders are made at track days. If the cost is off putting, think of it as education. 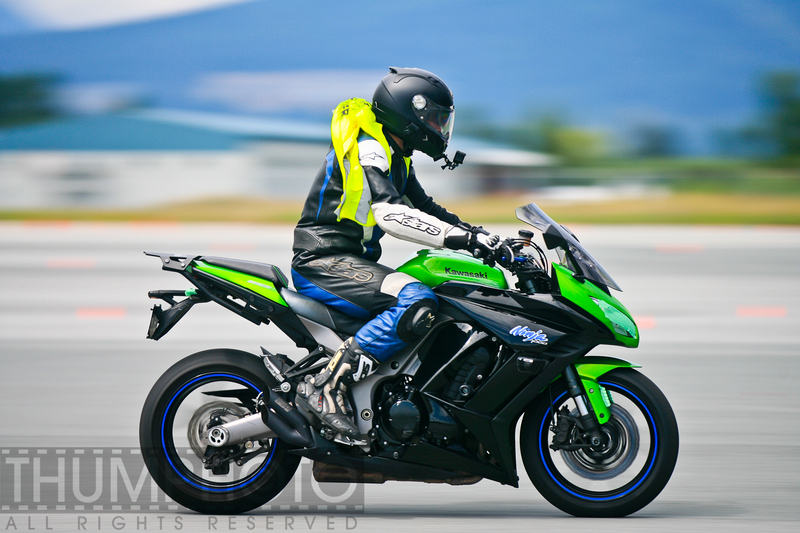 The more track days you do the better and safer you will be. Afraid of crashing? The slight, increased chance of crashing at a track directly reduces the chance you’ll crash on the street. They are also incredibly social. During lunch (or anytime) chat with other riders. See what is working with them and you’ll find new riders to ride with. There are typically three groups at a track day. Relaxed, Intermediate, Expert. You will be grouped according to your skill level and motorcycle. Be honest with yourself and don’t put yourself in a group where you don’t belong. Not sure? Talk to the track day staff. Make sure your motorcycle is in good working order and your tires have more than 50% tread remaining. Don’t party it up the night before. You will be mentally and physically challenged at the track. You really should be 100%. Spend the evening before packing, getting ready and watching YouTube videos of the track you are going to. Avoid the frantic early morning rush. All you need to bring is painters tape, your basic motorcycle tool kit, sunscreen, snacks/lunch, WATER, sports drinks. Avoid the energy drinks they won’t make you a better rider and you don’t want the energy ups and downs. Did you forget something when you arrived at the track? Most likely someone will have it or you can buy it. Do not change your oil before a track day. Either do it a week or two before or after the track day. Reason? If your oil bolt comes loose on the track you will oil the track. You ruin the track day for everyone and they will all know it is you. You don’t want to be that rider. You’ll never live it down either! Get up early. Track Days start early. Aren’t you glad you packed the night before? Do some stretching. You’ll be working all your muscles so prep them for the day. When you arrive, register and sign the waiver. Then you’ll have to get your bike checked out to make sure it is safe for the track. It is called a Tech Inspection. They might find something you missed. They are here to make sure everyone’s motorcycle is safe for the track. This is not a thorough inspection, so don’t be worried if you do not have the newest, shiniest motorcycle. Skip the coffee unless you absolutely need it. You’ll get quite the adrenaline rush at the track, coffee may trigger anxiety. Hold off on the coffee until you finish the second or third session. Before you head out onto the track there is the rider meeting. They might be long so bring a chair if you can. This is important information so listen up. Immediately after the rider meeting the intermediate or expert riders start first. You’ll have 20-40min before your session comes up. Get ready that time goes by fast. Make sure your motorcycle is taped up. You’ll have to cover the lights, signals and speedometer. Check the PSI in your tires. Don’t have enough air or don’t know how much you need? Talk to the tire vendors or tech inspectors. Your 1st Session of the day is all about getting used to the track. Do not be in a rush to go fast. Get used to the track. Follow the safety riders or rider coaches. Find the flag stations, these can be good focal points. They are also where you’ll get warned of upcoming problems. Your 2nd Session, find the quickest lines around the track. Look for the reference points or reference cones. Don’t look around at different objects too much. Do not be in a rush to go fast yet. In your 3rd session start to move your body positioning around more. Help the bike around the corners. Use the lines you are used to. You still need to keep the speed reasonable. Going slow allows you to be smooth, when you get good at being smooth, you are fast! Between all your sessions you should be hydrating. If you’re sweating drink sport drinks as well. You’ll need to replace those electrolytes. The rest of the sessions it is up to you on what you want to work on or do. Chat up the safety riders or coaches. They are a wealth of information. If they have track day instruction, sign up! It is well worth it and you will get a lot more out of your track day. With all the sessions you do at the track, let your tires warm up. It takes at least two laps. Once you get going don’t worry about your speed. Ride to your comfort level, do not be concerned about who is behind you. It is up to them to pass you safely. The same goes for your physical and mental limits, don’t push yourself too far over the edge. Since you are not the only one on the track, respect others space. Passing is tricky. Don’t take the pass unless you can do it safely. It is 100% responsibility of the rider to make a safe pass. That being said don’t make erratic moves on the track. Don’t sweep left and right. Move smoothly and move predictably. Abrupt movements can cause serious problems. 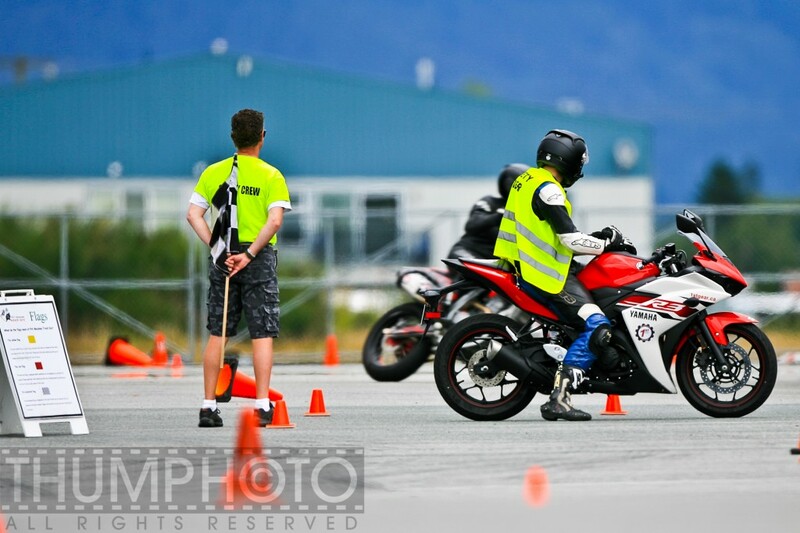 If you are stuck behind a rider you just can’t pass, pull off the track and re-enter. This may disrupt your flow but your re-entry will make the rest of your session much more enjoyable. Always put your left hand up for track exit and don’t look behind you. Stay focused on the what is ahead of you 100% of the time. If you are riding with buddies, ride with them. Take turns leading. DO NOT race them and see who is the fastest. Having an ego on the track leads to a lot of crashes. People do crash on the track but most of the time it is minor since tracks are designed to be safe. A lot of motorcycle crashes are cosmetic. Have your motorcycle checked out by the techs at the track. The track usually has some mechanics on hand so you could be back up and running by your next session. If your bike is not safe to ride, there is a good chance someone will help you get home. Track Days are full of very friendly and generous people. If you are physically hurt there are first aid and ambulance staff on site to make sure you are ok. You will be taken care of if something happens. Ambulance rides are rare on track days. Suspension tuning is common at track days. For $20 to $50 you can get an expert to tell you about your suspension and adjust it for you. This is some of the best money you can spend on your motorcycle. It will be adjusted to your body. If your suspension doesn’t have the range of adjustments for your body weight and height there are options to upgrade it. Those who have upgraded their suspension, never regret it. It changes the motorcycle and your ability to ride it. There are one or two tire vendors at track days so if you need new tires, you can get everything done right there. They will also have tire PSI recommendations and an air pump if you need it. Photographers are on hand to take professional pictures of you. They will make you look like an incredible rider (but you already are right?). Pictures typically cost $10 to $20 each or $50+ for all them. You always get to see what they look like before you buy them. You made it. You’ll have a sense of exhilaration and accomplishment you crave. High five a few people and calm down. You have to ride home (at the speed limit!). Get your tires back up to the proper PSI. Take it easy as you are physically and mentally drained. Once you get serious about track days consider trucking or trailering your bike. Staying a night in a nearby hotel is a great idea too. 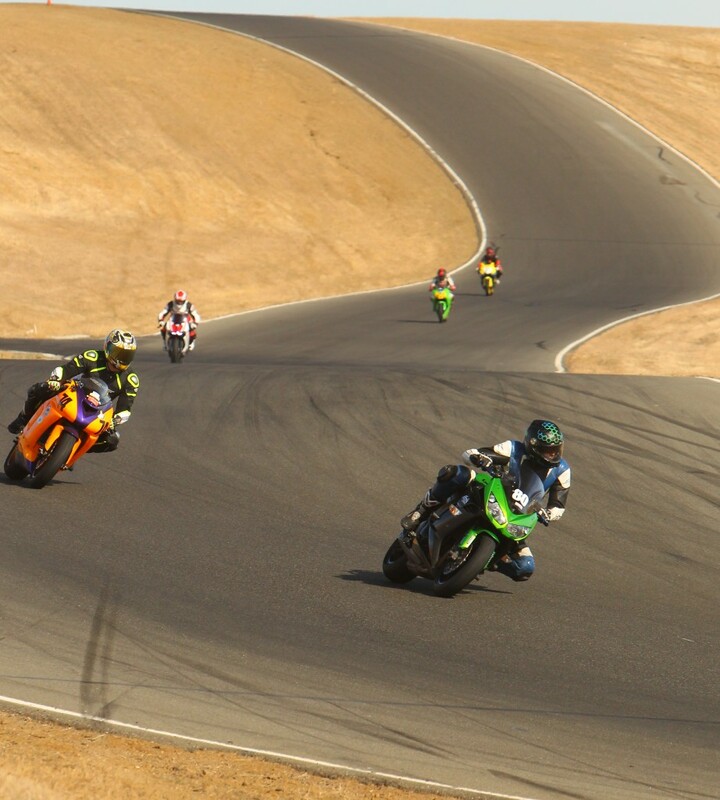 Track Days are some of the best days you can spend on two wheels. It is the maximum number of corners you can do in one day. You can go as fast as you want in the safest environment possible. 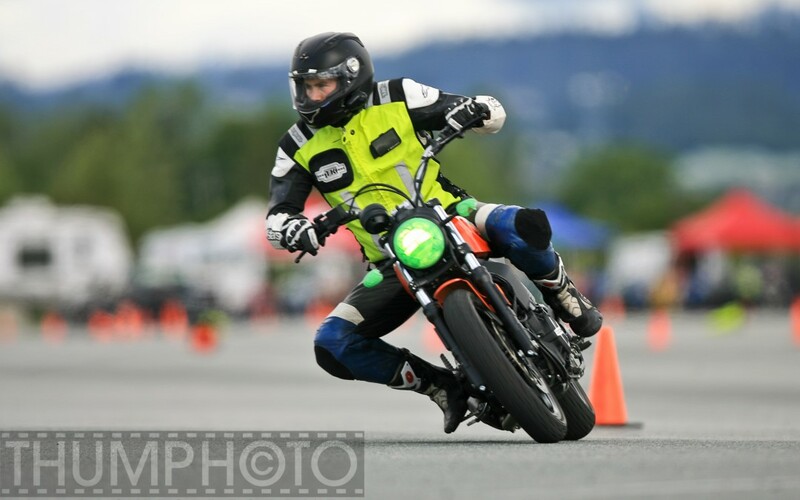 You get to see what your motorcycle is capable of, you simply can’t do this on the street. 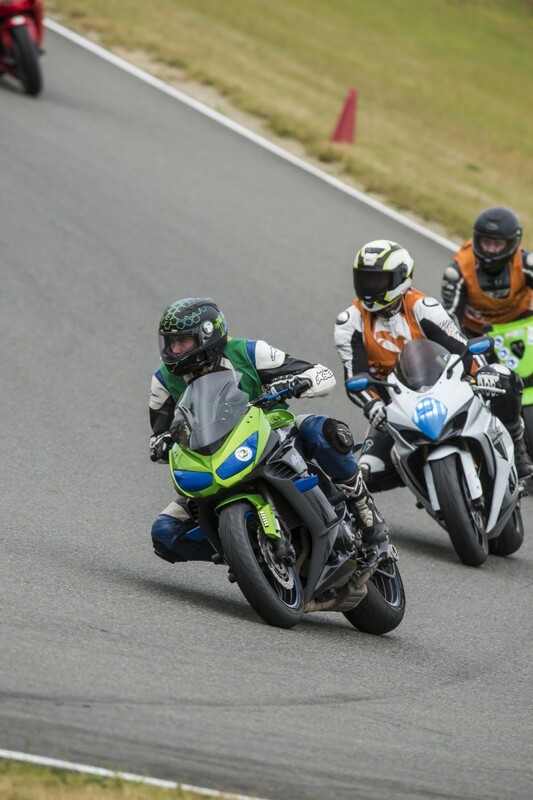 In as little as two to three track days the difference in your riding will be incredible. Now go out there and find all the track days. Enjoy!